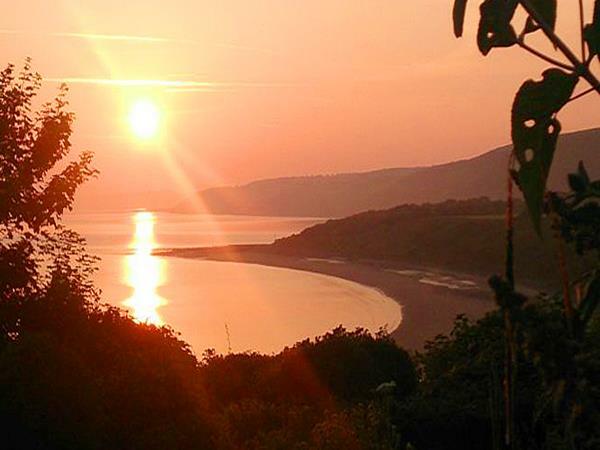 This caravan is perfect for a cozy warm relaxed holiday in West Wales. if the sun is shining or the rain clouds coming this residential standard caravan with large corner bath, seperate kitchen and dining is home from home, why not soak up all those aches and re-charge! 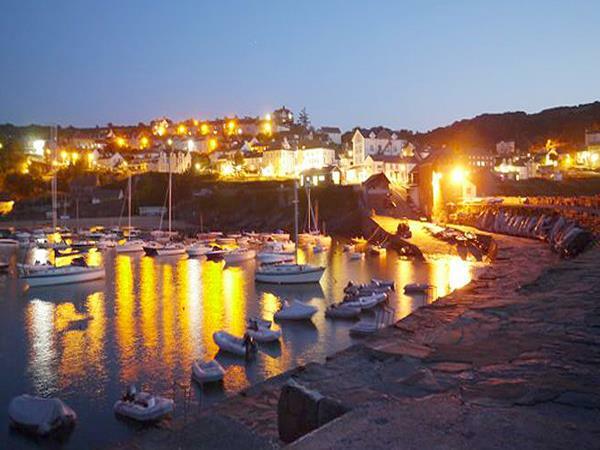 We all deserve a break and what could be better in the home town of New Quay. Smart tv's in all rooms, New gas BBQ with outside prep area, Outside mood lighting, New outside seating area on top deck. 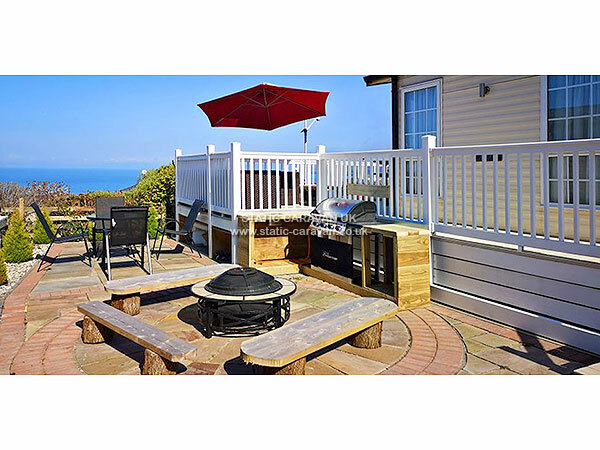 Washer dryer, double carpark drive, New patio area, fire pit, plastic decking, fibre broadband, For larger families of 4-plus we have top quality king areobed that inflates in minutes in the living room. So good times ahead at Quay West Sizzling those steaks over looking the bay spending time on the great beaches with dolphins feeding daily around the bay. There's new restaurants in the harbour to try out, also a full entertainment package at Quay West parks main complex. Tesco and Asda deliver, so just a click away from getting your favourite food and drinks in. 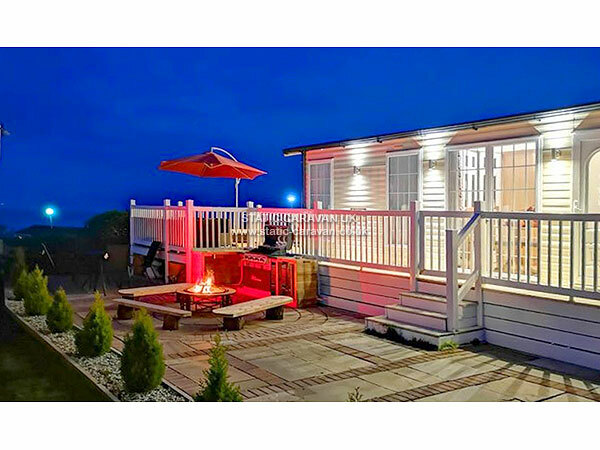 The caravan is positioned on the exclusive and newly developed Traethgwyn Court area of the popular family resort of Quay West Holiday Park. 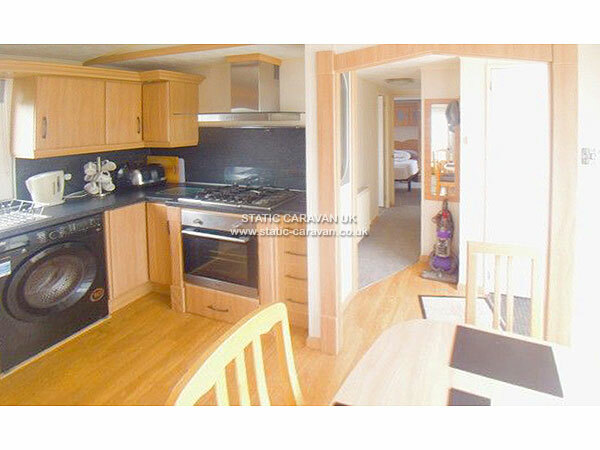 The caravan has high speed Broadband and is comfortable and spacious. 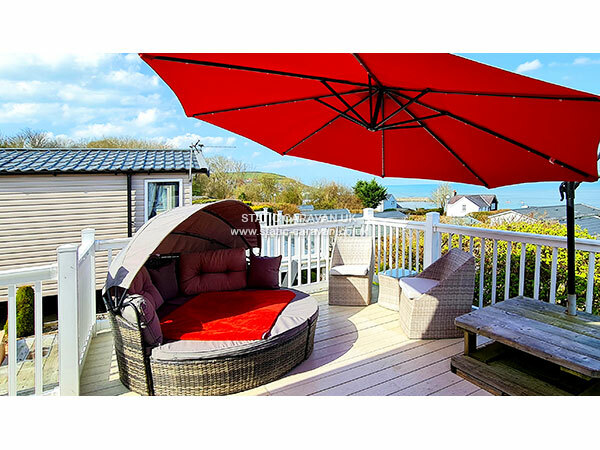 This privately owned caravan is of the highest standard and luxury. 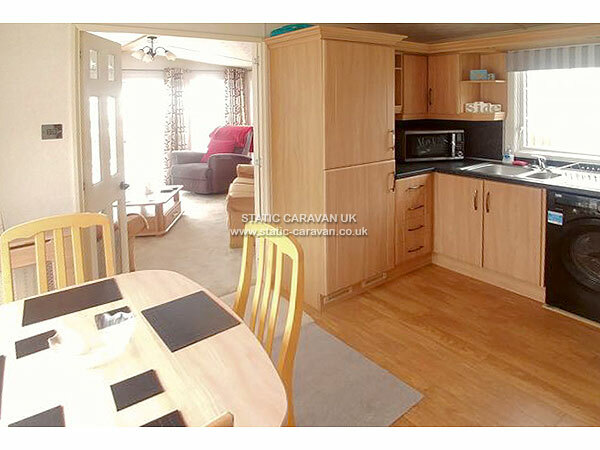 The caravan has 2 bedrooms with central heating through out, double glazing, smart 42" TV and DVD player, 22" smart tv's in bedrooms. Also you can easily log in to Netflix and Amazon if you have your own accounts to watch your favourite shows. It can accommodate up to 4 people in comfort and the luxury areo bed can offer a further 2 in the living room if needed.. 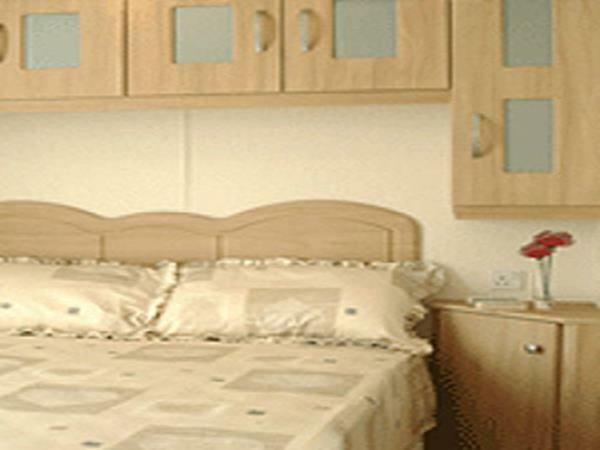 There is en-suite shower toilet to main bedroom and a full size bathroom suite with full size cornerbath. 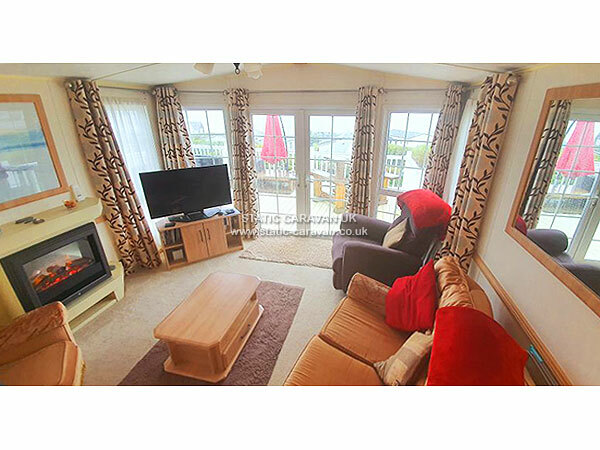 Also boasts a full size kitchen home from home double fridge freezer, 5 gas hob, washer dryer, microwave/grill and multi function oven.The living room has a rocker recliner and a 3 seater settee and chair,42" TV, electric remote controlled fire for extra warmth for those cozy nights Inn. So whatever the weather this seperate living room and kitchen design maintaines a joy for a relaxing holiday. Outside there is an upper level seating / sunbathing area (24 square metres) rattern lounge area and a bar table to soak up a thirst with about the best view around. 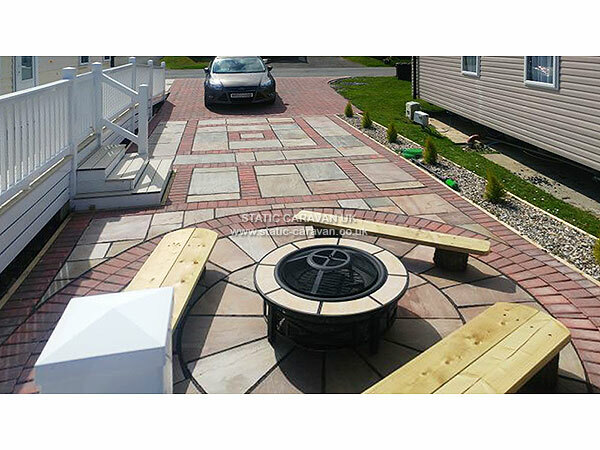 The lower level patio area has a BBQ and firepit area sitting on Indian sandstone for those chilled out nights . The newly developed drive can take upto 2 cars. 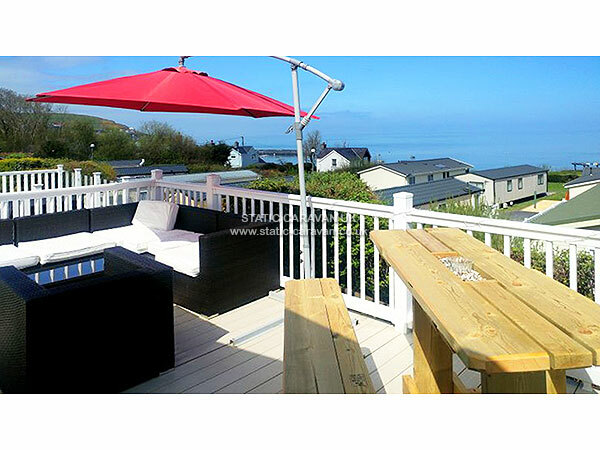 The caravan has commanding views over the bay, Bardsey Island and to Snowdon beyond. A truly idyllic spot, offering the best of both worlds. 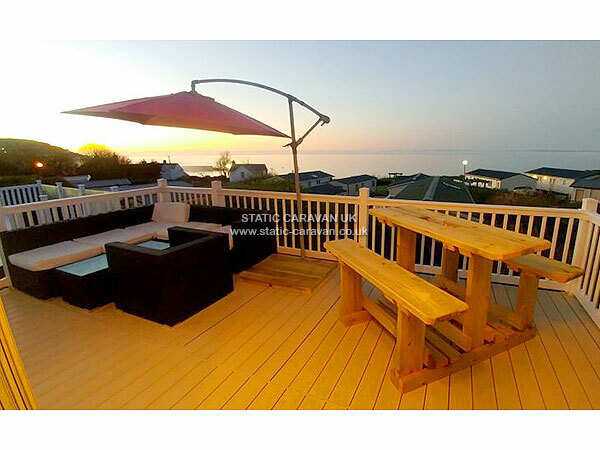 Peace and quiet or a full on beach holiday with evening entertainment if you want it. 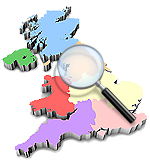 Full Payment for Holiday to be payed up in full 6 weeks before your holiday. Pillows / Quilts provided, just bring your duvet covers, pillow cases and bed sheets. Laundry house can provide please request for price.